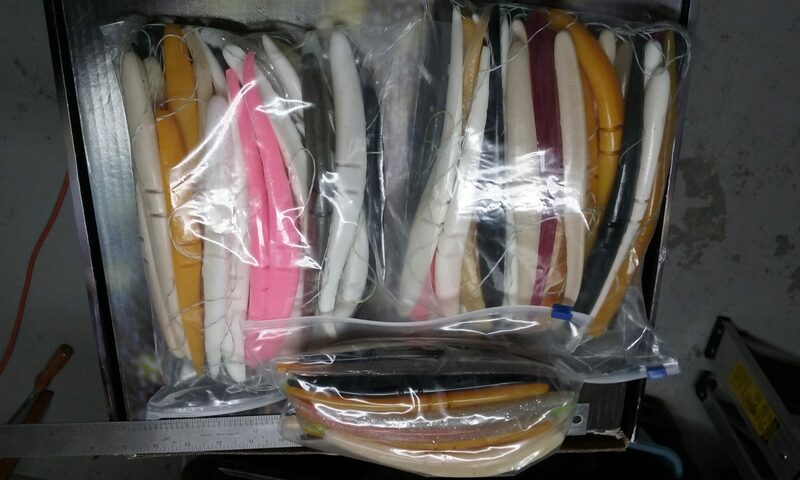 70 9″ and 30 7″ of my homemade baits. You couldn’t tell them from a ……. but you can’t call them that. So a total of 100 in various colors could go to the highest bidder. Many are black and white but also other colors that can’t be bought and all will catch, sometimes out catching anything else. 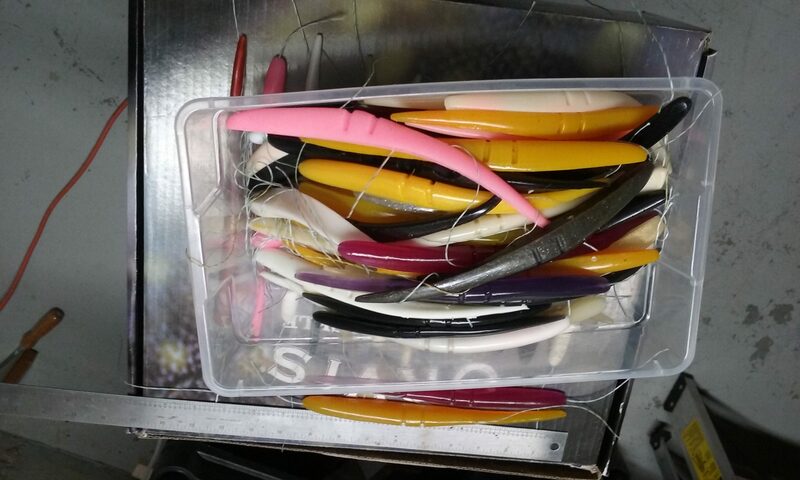 The 9″ baits have a molded in Dacron line for dual hook rigging. Line can be easily pulled out for single hook rigging. 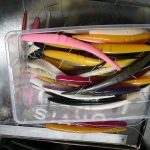 Anyone who has tried rigging dual hook ……. will much appreciate the molded in Dacron line. These generated lots of bidding last year!